People say rocambole garlics can be fussy to grow, but Marino is here to prove otherwise. 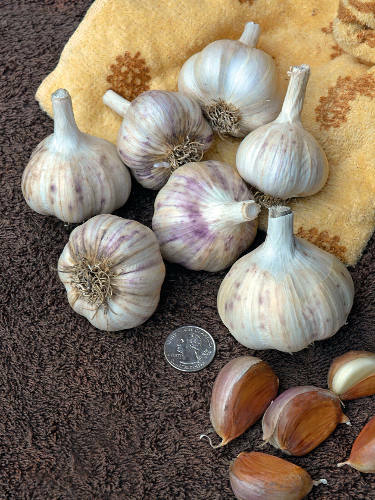 Undemanding and easy to grow, this vigorous selection from New York State produces uniform-sized cloves and bulbs year after year, with a well-rounded and warm flavor profile. An added bonus: its distinctive swan-like scapes are fantastic in flower arrangements. 6-9 cloves per bulb, and a longer storage life than most other rocamboles.